Florida Gulf-to-Bay Anesthesiology Associates, LLC (FGTBA) is a multi-state practice group based in Tampa, Florida, which performs a broad range of clinical and administrative services to hospitals and ambulatory surgery centers. FGTBA employs over 50 board certified anesthesiologists and over 100 certified registered nurse anesthetists (CRNA's) who manage approximately 160,000 cases annually for eight hospitals and 11 ambulatory surgery centers (ASCs). In 2012, MTS Health Partners, L.P., a firm providing strategic advisory and capital raising services as well as private equity capital to companies in the global healthcare industry, re-capitalized FGTBA and founded Florida Gulf to Bay Holdings, LLC to support future growth and drive results. FMG Leading was brought in to assess the current levels of organizational development and provide support in accelerating the growth of the business. 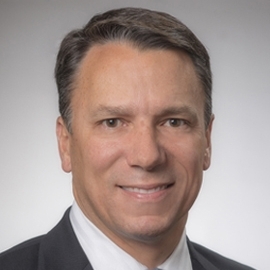 FMG Leading utilized our unique executive coaching process to provide guidance and support to new CEO Leonard Castiglione during his initial onboarding, and throughout his tenure with the company. The focus of this coaching work was to help him create an aligned leadership team, clarify the organizational vision and value proposition, and enhance the overall leadership of the company. In addition to our coaching work, FMG Leading deployed our Executive 360° assessment for all members of executive team, to help them develop awareness, mindful presence, and leadership effectiveness. We also facilitated a team development session with the FGTBA Critical Care unit, to establish alignment, build trust, and define the mission and values of the group. Armed with the skills and clarity FMG Leading provided, Florida Gulf to Bay Anesthesiology was poised for rapid organizational improvement. In the 18 months that we were involved with FGTBA, they achieved 380% growth, more than tripling in value from $50 million to $240 million. In late 2014, FGTBA experienced a successful equity event, providing Castiglione with an opportunity to continue his record of successful turnarounds with a larger organization. He is currently CEO of OB Hospitalist Group, a healthcare firm backed by private equity firm Gryphon Investors. OB Hospitalist group remains an FMG Leading client today. In the 18 months that FMG Leading was engaged with FGTBA, the company achieved 380% growth and more than tripled in value, from $50 million to $240 million. "FMG Leading helped us plan and prepare for the most challenging phases of change, easing the stress on the organization." How Sound Physicians built a Physician Leadership Development program that lifted the organization to the top of their industry. Jennifer serves as Principal, Healthcare for FMG Leading, and directs the firm's efforts in serving the leader, team and organizational needs of health care clients.